NDS 즉 닌텐도 DS 에뮬레이터 중 안드로이드에서 그나마 쓸만한 앱으론 nds4droid를 꼽을 수 있었다. 하지만 성능 및 기능 면으로 훨씬 강한 놈이 있더라. 잠깐 테스트 해봤는데 Drastic의 속도나 성능은 nds4droid를 완전히 압도한다. Drastic의 NDS 게임 구동화면 사용자의 편의에 맞게 화면모드를 셋팅해 플레이 가능하다. 위에서도 언급했듯이 Drastic의 가장 대표적인 특징은 상당한 최적화를 기반으로한 빠른 에뮬레이팅 속도. NDS4Droid등의 기존 NDS에뮬레이터에 비해 기본 두어배 정도 이상의 프래임 향상으로 부드러운 화면전환과 빠른 속도를 체감할 수 있었다. 현재 내가 쓰고 있는 안드로이드 폰인 옵티머스G프로 기준으로 엥간한 게임을 빠르게 돌릴 경우 두배 이상의 속도가 나오더라. 2D, 3D 게임을 구분짓지 않고 모두 빠른 구동속도! 또한 콘솔이 아닌 에뮬레이터로 플레이시 손꼽을 수 있는 편의 기능인 강제 세이브 및 로드 기능도 건재. 부가적으로 드라스틱은 세이브 파일을 구글 드라이브와 연동해 여러가지 기기에서 공유가 가능하다. 치트 기능을 좀 살펴보면 Drastic에선 영어, 일본어, 한국어 버전 등 게임의 언어 버전에 따라 지원여부에 차이는 있지만 유명 게임의 경우 기본적으로 치트를 바로 사용할 수 있다. 여기에 치트키 메뉴도 각 치트의 기능에 따라 카테고리별로 분류되어 편리하게 적용이 가능하다. 이는 스마트폰 에뮬레이터 중에서 단연 돋보이는 기능이라 할 수 있다. 하지만 치트 접근성이 대폭 향상되어 맘만 먹으면 캐릭터가 먼치킨으로 변하여 게임의 재미가 감소될 수 있으니 주의. 어느정도 이름있는 게임이라면 기본적으로 치트키 데이터베이스가 미리 셋팅되어 있다. 분류에 따라 다양한 치트키 기능을 바로 사용가능. 드라스틱은 이 뿐만 아니라 여러가지 화면 형태를 지원한다. 드라스틱의 화면 레이아웃 설정 화면 – 다양한 화면 레이아웃을 지원한다. 아쉬운 점으로는 방향키 및 조작 버튼의 위치 등의 상세 설정이 좀 부족한 것. 게임 선택 화면에서 게임의 정보를 미리 읽어들여 이를 아이콘으로 표현. 롬파일이 많은 경우 이를 편리하게 선택할 수 있도록 해줌. 기타 드라스틱에 관한 보다 자세한 설명은 아래의 readme 내용을 확인하길 바란다. DraStic is only intended for play of private backups of legally acquired Nintendo DS games. This product is not affiliated with or endorsed by Nintendo in any way. 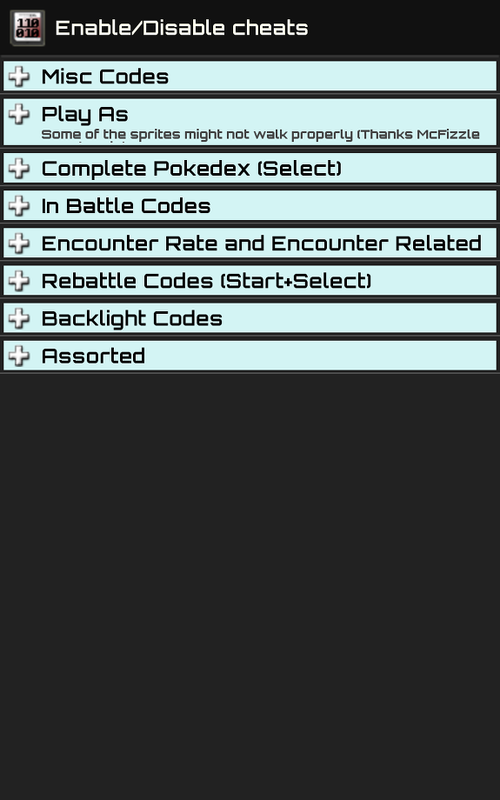 Press ‘configure options’ in the main menu, or ‘options’ in the game menu, to access the settings. down below normal speed, but it will not skip more than N frames in a row. choppier, so if you get glitches check to see if turning off frameskip helps. The value to use for “manual” or “automatic” frameskip as described above. This value can be set from 0 to 9. You can set the filter to “None”, “Linear” or “Scale2X”. “Scale2X” is only available on devices with multiple cores. If you have multiple cores DraStic is sped up by being able to offload screen update tasks to another thread. but this option can cause graphical glitches and instability. Please turn it off before reporting any problems. Globally enable or disable sound for every game. Adjust the latency settings for the audio emulation. For best results set the latency to “low”. If you experience slowdowns in games, try the “medium” or “high” setting. or device buttons (Nvidia Shield, Xperia Play). Select the mapping you want to change here, and then press one of the buttons described below to edit the mapping. Press this button to open the mapping dialog, where you can map buttons and d-pad to your controller. It is also possible to map one button to the screen-swap functionality, which is especially useful if you select one of the 1-screen layouts. or want to save 2 different mappings for one controller, you can change the displayed name for the mapping after pressing this button. If you enable this option, all buttons that are mapped to a physical button/key, will not be shown in the on-screen controller anymore. When you are in-game, there is a special button centered at the bottom of the screen, which will bring up additional buttons. The start and select buttons are among them, but you can have them always visible, by enabling this option. When this option is enabled, any button press on the on-screen controller will also touch the DS touchscreen below it. Disable the normal functionality of your device’s back button. This is recommended, so you won’t accidentally press it while playing and be taken back to the game menu. If your device supports it, you will get haptic feedback from your device, each time one of the on-screen controller buttons is pressed. Select the opacity of the on-screen controller overlay. At “0%” the on-screen controller will be invisible, at “100%” it will be fully opaque. Set to show an indicator of how fast the emulator is running. Enable to save your current progress automatically, when you quit DraStic. and you can only resume it by pressing “continue” from the main menu when you start DraStic the next time. Enable this to get a prompt each time you want to overwrite a savestate. This is useful, of you don’t want to accidentally overwrite your save. This option globally enables cheats. You can disable it, if any cheat you enabled for a game does not work, and you can’t load the game anymore. In this case, disable cheats here, go into the game to disable the problematic cheat. Afterwards you can enable cheats globally again. Each time you enter the save/load menu, you can manually refresh the availability of save games on Google Drive by pressing the button “Available on Google Drive”. This will show you by an indicator on each save slot, if a savestate for that slot is available on your Google Drive. If you enable this setting, this update will be done automatically, each time you enter the save/load menu. Note: for this setting to work, you need to be connected to the internet when entering the save/load menu. If you don’t want DraStic to access the internet automatically, then disable this option. Press this to clear the account data used for the Google Drive feature. This way you can select another account the next time you are using any of the Google Drive functions. Here you can modify your personal data as you would in the firmware of a Nintendo DS. This data will be used by various games to display your nickname, for example. Press to load from your quick-save slot. Will only be enabled, if you already created a quick-save for the current game. Save your current progress to the quick-save slot. go back to the game menu and press this button. You will be taken to a screen, where you can press anywhere to open it again. 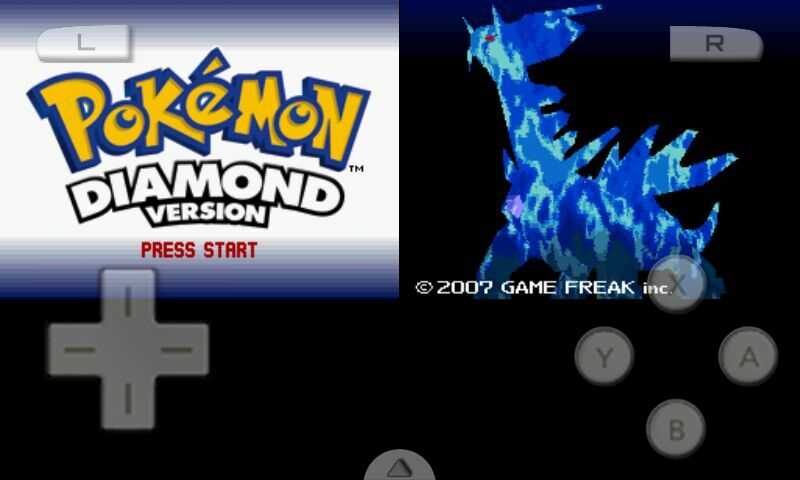 Press to make the emulator run as fast as possible instead of syncing to real Nintendo DS speed. After pressing this button, you will be automatically taken back to the game. In order to set the speed to normal again, open the game menu and the button will have changed to a play-button. Press it to be taken back to the game in normal speed. 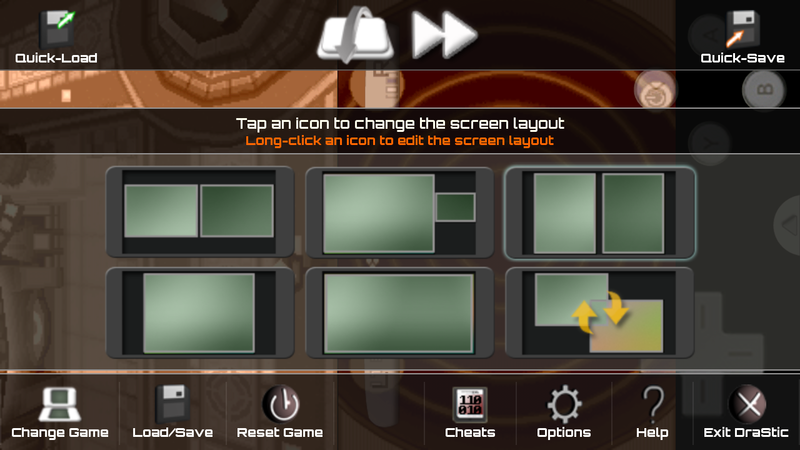 In the center of the game menu you will see six bigger buttons, 5 of them showing different screen layouts, and one indicating a screen-swap. orientation is set to single mode it’ll swap which screen is displayed. Press any of the layout buttons, to change the positioning of the 2 screens. You can customize any of these layouts, by long-pressing on the one you want to modify. In the customization screen you are taken to, you can also edit the positioning of the on-screen controller. Press to load another game. Press to be taken to the load/save menu, where you can load or save to up to 5 different slots. You can also up- or download your saves to Google Drive from the load/save menu. Press to restart the currently active game from the beginning. Press here to enable or disable cheats for the currently active game. The available cheats are taken from a cheat database, and your settings will be saved for each game. Press to open the options dialog. Opens the text you are reading at the moment. Press to quit the application. Any of the following actions will be performed using the currently selected slot. Change the selected slot, by pressing any of the 5 slot buttons in the center. Note: You need to be connected to the internet to use any of the Google Drive functions. If you don’t want DraStic to establish an online connection, please don’t press any of the Google Drive buttons. Load your game progress from currently selected slot. Save your game progress to currently selected slot. Download a save from Google Drive to the currently selected slot. A save assigned to the same slot number has to be available on Google Drive. Upload the save for the currently selected slot to Google Drive. Refresh list of available save games on your Google Drive. This action has to be performed, before any files can be downloaded by “Download from Google Drive”. Brings you back to the action. You can access the customization dialog by long-pressing any of the screen layout buttons in the game menu. In the customization dialog, you will see both screens in their current position. Press one to select it, then you can move it to any postition you like. Press here to save your modified layout either as global (for all games) or only for the currently active agame. you can also delete it from here by pressing “Delete game specific layout”. After deletion, the game will use the global layout again. You can also edit the on-screen controller layout in the same way as the screen layout, by pressing “Edit controller layout”. Reset the current screen layout in the editor to the default settings for the selected layout. The default layout will only be used, if you save it from “Menu” after resetting it. If you have both, a game specific and global screen layout saved, you can switch here, which one you want to edit. The layout you are editing at the moment is indicated in the top left corner. Press to open a set of tools to assist you in customizing the screen layout. The “original layout with gap” button will act differently, depending if you are editing a landscape or potrait layout. For a landscape lanscape layout, it will try to make the screens as big as possible, including a proportionally correctly sized gap. For the portrait layout, it will center both screens horizontally and vertically in the current size, adjusting the gap depending on the current size. So if your device’s screen is big enough, and you want to have the most authentic screen layout, first select each screen, press the “original size” button, then the “original layout with gap” button. A: Sorry, but we usually don’t do release dates. Please be patient. A: It varies greatly depending on the game you’re trying to run. A device with 1GHz Cortex-A8 will run many games with a fair amount of frameskip. A 1.4+GHz dual-core Cortex-A9 will run most games with little or no frameskip most of the time. A: The GPU is only used to scale the image and apply filters so having a better one won’t make much difference. OpenGL ES is not used to render the Nintendo DS graphics. This is because of idiosynchracies in the DS graphics hardware that would make this style of emulation incomplete and/or slow. A: Wifi emulation is very complex and not something we have any plans to attempt at the moment. A: Report it on our forums here http://drastic-ds.com. Please keep it public instead of PMing or e-mailing us privately so that other users can help you or be helped if there’s a solution to your problem. When you report a bug it’s helpful if you can provide a save state and directions for how to reproduce the problem. A: DraStic is closed source for the foreseeable future. It’s written entirely by us and therefore not violating any licenses. Q: Why does DraStic need BIOS files? Other DS emulators don’t need them. A: It’s possible to replace the BIOS and firmware functionality with high level code in the emulator, it’s just a low priority for me because it probably doesn’t positively impact performance or compatibility. It’s something we may do eventually. A: It’s currently available for the Open Pandora gaming computer handheld (http://www.openpandora.org). A: We’re working on it. If it comes out it will require a jailbroken device. A: We may evaluate these options in the future. 어떤 블로그 글을 보니 오히려 루팅해서 잘 관리하면 더 안전하다고 하긴 하던데….